This microphone is really amazing. Very high quality clear sounding audio especially for the price. 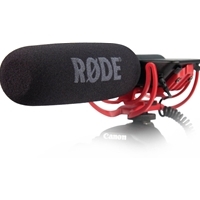 Really good mic for anyone, wheather professional or not. Is just slots on to your cameras shoe hole or on boom poles as well. The 3.5mm stereo jack will go into cameras and computers.